After almost six months of teases and leaks, Nintendo is finally ready to show its next system, the Nintendo NX, off to the world. It’s an early wake-up call for anyone on the West Coast but, based on what we know about the system, one that’ll be worth getting up for. According to a tweet from Nintendo’s Japanese Twitter account translated by Kotaku Australia, the video will be an ample three minutes in length – allowing us just enough time to go through the entire range of human emotion. We’ve known that the system has existed for some time now thanks to a financial report given by former president Satoru Iwata, but this could be the first time that we’ll actually get to see what the hardware will look like outside of a few miscellaneous patent documents. 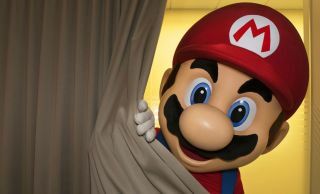 The tweet came mere hours after a report published by The Wall Street Journal which speculated that the Japanese game giant would unveil the NX within the next week or two. In case you haven’t been following the developments, the latest report suggests the system will be a console-handheld hybrid that will in itself be a portable console that will have the capability of plugging into a dock for additional processing power – with one or two speculators suggesting that it would be able to play games in 4K. The same report suggests that the controllers for the system can be detached when the system is docked and then re-attached when you want to take the system on the go. I guess we’ll find out one way or another tomorrow.